Start by creating a new Android app from Android Studio. Name it AndroidFaceDetection, choose the Phone and Tablet form factor and set the minimum SDK to API 15. Choose the Empty Activity as the starting point and let its name to be the default MainActivity. We’ll continue by making the app able to take a photo using the front facing camera. In the next section, we will add the code to detect faces in this photo. That’s all for now. Run the app and you should be able to take a photo using the camera and see it in the second activity we just created. 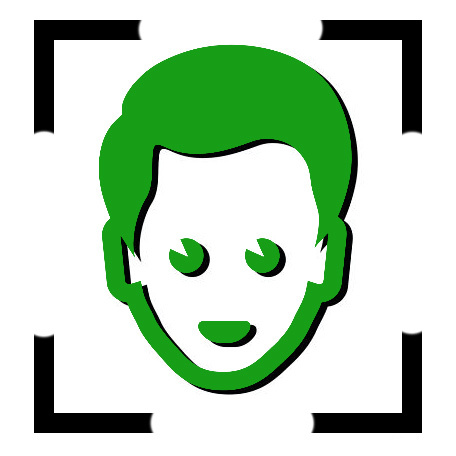 This will configure the face detector to detect all the face features in our image. We don’t need tracking to be enabled as we are only using a static image for the moment. 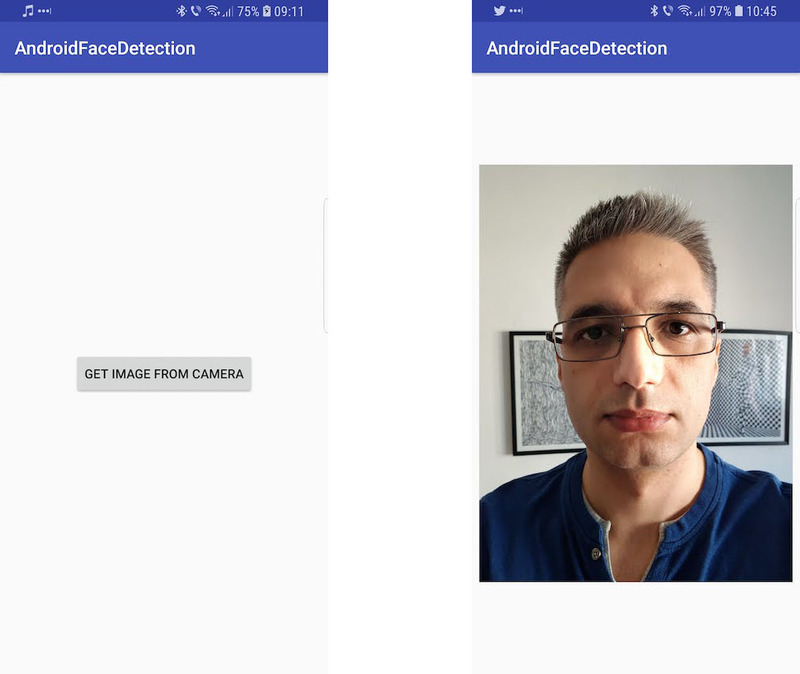 If you want to find out what more you can find out about the detected face, check out the Google’s documentation. In this last part of the tutorial we will show the video preview from the camera to the user and detect and track faces as they appear and move into the frame. For this, we need a slightly complicated setup, so let’s begin. We will go quite fast through the setup, but you can find out more about how it all works on Google’s developer website. First, we need to add the CAMERA permission to the AndroidManifest.xml file. That’s because this time we will directly use the camera hardware instead of letting the operating system handle it. Next, we need some additional classes: one GraphicFaceTracker that holds the data for each detected face, one FaceGraphic which renders the graphics for each face and one GraphicOverlay class that will take care of rendering objects, faces in our case, to be overlayed on top of the camera preview. * relevant portions of the overlay to trigger a redraw. * Draws the face annotations for position on the supplied canvas. * rest of the processing pipeline. * uses this factory to create face trackers as needed -- one for each individual. The last thing remaining is to add a new button in the activity_main.xml layout and the code in the MainActivity class to open this new VideoFaceDetectionActivity. Run the app one more time and try the new feature. Try asking some friends to pose with you so you can see how all the faces are detected. I hope you enjoyed building this and learned a lot along the way. Please let me know in the comments how it was for you, if you found any problems or if you have any improvements to suggest. Also, if this tutorial helped you build some other Android apps, please add some links in the comments and tell all of us about them. You can get the final code from GitHub, in case something goes terribly wrong and you don’t manage to fix it. See you at the next tutorial! Any ideas as to why this might be? Thanks for the great tutorial! how to store the detected face in sqlite db? can storing format be a string? in second activity i have used same code to detect the face but now how to compare the captured face in second activity with captured face in first activity which is stored in sqlite DB? This tutorial is about face detection, not face recognition. There is nothing to store, it only detects faces in the images. Do somebody have example for face recognition? how emojies are applied in facedeection in vedio and than how vedio is saved? ?